Who We Are – Century Foundry Inc.
LeRoux Foundry opened its doors in 1937 at the corner of Sherman and Seaway. Napoleon and Fred LeRoux had been in the aluminum casting business and took the risk to start their own company. Ken LeRoux was hired in the late 60’s when iron production was strong, the men then began producing both iron and aluminum castings. As the iron business picked up they decided they could not continue production of both metals under the same roof. In 1976 their nephew Bill and his wife Sue purchased the aluminum casting division, which they named Century Foundry and purchased the first building from Mert Mills. Between 1976 and 1997 Bill and Sue, along with their son Scott saw considerable growth. There were three additions made to plant 1, which went from 6000 sq. ft. to 24,000 sq. 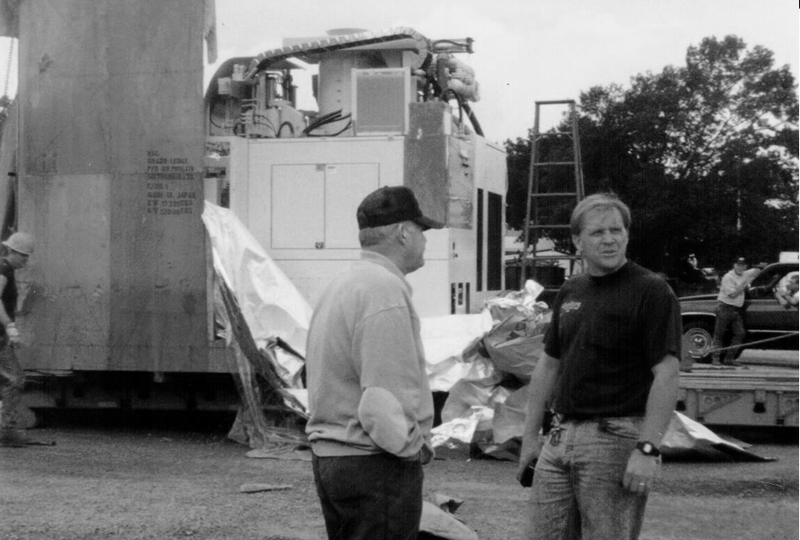 ft. With Bill taking a step back in the mid 90’s, Scott saw future growth with more automation, by September 1997 a FBO Sinto automated molding machine and automated sand system were installed. We now had the opportunity to grow and attain business like never before. Scott had taken on more of a sales role and was bringing in business to fill up this new machine. Scott did this quickly and again, there was a lack of floor space, which meant that the air set and permanent mold processes needed to be moved. An opportunity came up directly across from plant 1 and the purchase was made. Plant 1 became cleaning and green sand operations and plant two held air set and permanent mold. The addition of this building gave us 38, 000 sq. ft. of production space. Century uses tried and true aluminum casting practice to produce the highest quality products. 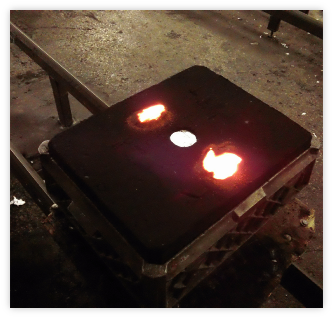 Casting technology has been develop from prehistoric times. Sand castings have been produced for at least the last several thousand years. Aluminum castings have only been produced during the last 200 years since aluminum was isolated. 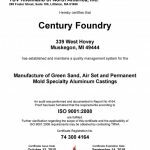 Aluminum has only been generally available for any serious industrial use since about 1880, and Century Foundry has been actively producing high quality aluminum castings for about one third of the time since then. Century foundry uses the very well known green sand process using both Sinto automated machinery and manual Roto-lifts as well as the more modern no-bake airset and permanent mold processes. 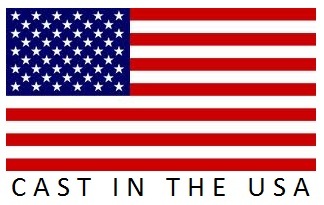 Call today to discuss with a representative how your product could best be produced. Century Foundry started producing aluminum castings during the Bicentennial celebrations of 1976. Since that time, Century has been a committed and integral part of the local Muskegon Heights community where it was built. We believe our West Michigan employees provide the highest skills and expertise you’ll find anywhere.